"How messed up is the track and field in the year 2013 that (Ben) True is the only American racing in New York City in front of a live NBC television audience? We know running in the middle of the day in New York might not be the ideal place to chase an ‘A’ qualifying time, but that’s exactly our point." "In the year 2013, common sense doesn’t rule. The sport has devolved into guys and girls chasing obscure ‘A’ and ‘B’ marks at meets that are nothing more than glorified practices with F.A.T. 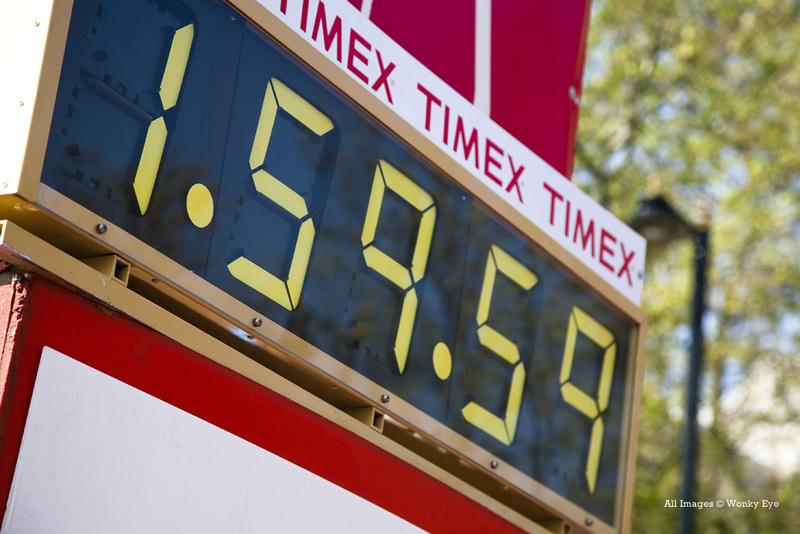 timing, rather than competing in the Big Apple in front of a live national and global tv audience. That’s what happens when the IAAF insists on individuals not countries hitting the standards and athletes have their various shoe allegiances they don’t want to violate." - LetsRun.com writing in a preview of the men's 5000m at this weekend's adidas Grand Prix in New York which will be live on NBC from 1-3 pm ET. The 5k features a clash between Hagos Gebrhiwet and Dejen Gebremeskel (with Ben True). 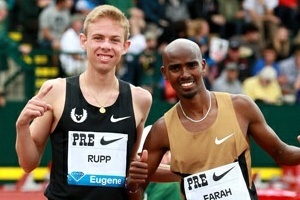 Anyone else think Mo Farah looked terrible at Oxy? Whats the deal with Manzano's non sponsorship? LRC Mary Cain Rewrites the Record Books, German Fernandez, Robby Andrews Struggle, Molly Huddle Impresses, WADA Testing Alert and Is Alan Webb Done? 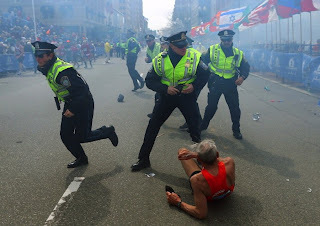 We offer some extra insight into last week's action at Oxy, Shanghai, Bay to Breakers (aka Ryan Hall's comeback) and more. *Meanwhile: Australia Sending A Marathon Team Of 5 Women And 4 Men But yet the US is only sending 3 men/3women. Bay To Breakers: Tolossa Fufi Wins, Ryan Hall 2nd In First Race Since Olympics Hall was pleased to be healthy again. Diane Nukuri Johnson won the women's race. 16-Year-Old Marathon Debut: 16-Year-Old Alana Hadley Runs 2:58 In Marathon Debut Hadley's debut at such a young age got her a front page story in the NY Times sports section today. Still Not As Good As Kawauchi: Kenya's Duncan Koech Wins Nordea Riga Marathon In 2:15:35 3 Weeks After Running 2:09:10 For 3rd In Prague Ethiopia's Aberash Nesga won the women's race in 2:40:31. Isabella Ochichi Continues Her Comeback, Winning Sweden Half Marathon In Hot Conditions In 1:11:29 (Results Only) Jackson Kiprop won the men's race in 1:03:13. WADA Head David Howman Says They Are At A Financial Breaking Point "It seems that each year we get asked (for) more and each year we do not get any more money." 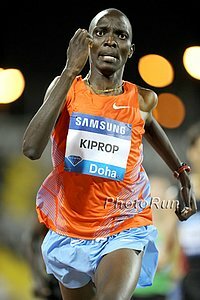 CapitalFM: Shanghai Blast Shows Kiprop Is Back"
Nick Willis Falls In Final 100m Of Shanghai 1,500, Finishes 13th In 3:40.72 He probably would have been around 3:33 if he hadn't fallen. 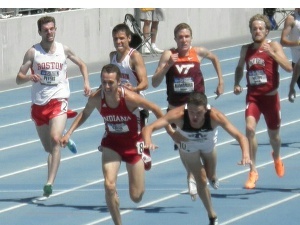 Countryman Zane Robertson was 15th in 3:42.08. Shelly-Ann Fraser-Pryce Wins 100 in 10.93 As Carmelita Jeter Pulls Up Injured In 3rd Jeter was actually carried off on a stretcher. Bronze medalist Warren Weir won the 200 over Justin Gatlin as China's Zhang Peimeng broke the NR. Jason Richardson won the 110H as Aries Meritt DNFed before even going over the first hurdle as he felt a cramp in his hamstring. Olympic LJ Champ Greg Rutherford Is Only 3rd (8.08m) As China's Li Jinzhe Was The Upset Winner In 8.34m It was a bad night for the favorites, as 2008 Olympic silver medalist Godfrey Mokoena was 7th, 2008 Olympic champ Irving Saladino was 8th, 2004 Olympic champ Dwight Phillips was 10th and London silver and bronze winner Mitchell Watt and Will Claye were second to last and last. IAAF Profile On Chinese LJer Li Jinzhe, Who Got The Upset Win Over A Star Studded Field In Shanghai It was the best jump by a Chinese athlete since the NR set 16 years ago. *Apparently Isinbayeva Jumped Through Pain In Her Takeoff Leg And This Report Says "she may take off several months if tests reveal a serious injury." The fact that the report is talking about possible months off makes it sound like it was more than a little pain. Isinbayeva said, "I'll check with the doctor on Monday and he will tell me what I should do." Qatar's Mutaz Essa Barshim Wins HJ In 2.33m On Countback Over Ukraine's Doha DL Winner Bohdan Bondarenko www.telegraph.co.uk Brit Robbie Grabarz's struggles continued as he was only 5th in 2.24m. Finland's 2007 World Champ Tero Pitkamaki Wins Shanghai Jav Over Czech Republic's Vitezslav Veseley As Trinidad And Tobago's Keshorn Walcott Was 7th Tero threw 87.60, which is the best throw in almost 4 years. Teen Sprint Star Jodie Williams On The Slow Comeback Road After Getting Injured During The 2012 UK Olympic Trials We see this too often with young stars. She passed on a chance to run the 2011 World Champs, but now she's missed the Olympics and might not make the 2013 World Champs. Young athletes don't realize how fragile their careers can be; take the opportunity to compete at the top while you have it. Recomended Read: Think Aries Merritt Came Out Of Nowhere Last Year? Not Quite, As He Was A World Jr. Champ In 2004 But Then Always Injured And Not As Dedicated After That Good interview with Merritt, who knew he could be good when Jason Richardson won in Daegu because he "murdered" him in college. He talks about changing diet, technique, playing tons of video games, and how he thinks he would be a "monster" at a 200m hurdle race. New Athletics South Africa Admin Zola Majavu Trying To Turn These Around For The Federation Which He Says "Lacked Governance" He says they've reached a turning point as he is in control and has access to their bank accounts. They'll be able to take 24 athletes to 2013 Worlds. Oregon Signee Christian Brennan Of Canada Hoping To Break 51.70 In Upcoming Meet The #1 time in college is 51.57. LRC 2013 adidas Grand Prix Men's Preview: David Rudisha Set To Shine Again as Hagos Gebrhiwet and Dejen Gebremeskel Prepare To Clash High schoolers will try and go sub-4, Hagos Gebriwet, Dejen Gebremeskel and Ben True in the 5000 and David Rudisha in the 800 while Erik Sowinski, Robby Andrews and Nick Willis fight for 2nd. *Jamaican Sprinter Kemar Bailey-Cole Who Almost Beat Bolt In His Opener Looking For A Sub-10 At This Weekend's NYC adidas GP "I watched the race [against Bolt] over and over and realised that if I had leaned at finishing and not slowed down close to the line, I would have won." 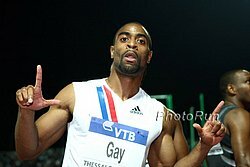 Today: Preview Of Beijing World Challenge: Allyson Felix In The 200, Justin Gatlin, Doc Patton & Mike Rogers In The 100 LaShawn Merritt vs Wallace Spearmon and Belgium’s Jonathan Borlée in the 200, Jason Richardson vs David Oliver in the 110H, Russian Olympic champ Anna Chicherova in the HJ, Kellie Wells (100H) and recent Shanghai DL upset LJ winner Li Jinzhe. Also Kenya’s Eunice Sum and Mary Kuria (4:02.05 and 4:03.56 in Doha) face off in the 1500. 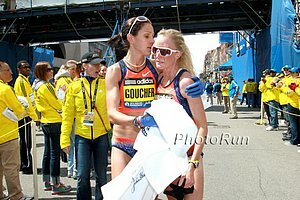 Anna Chicerova Blogs Ahead Of Beijing World Challenge And Talks About Rooming With Yelena Isinbayeva At The First World Youth Champs Back In 1999 She also talks how recently she had a traumatic experience in her town as there was a major train wreck and explosion right near her house when a train carrying oil derailed. June 1: Tirunesh Dibaba Leads Field For Pre Classic 5k She'll face a deeps field including 2-time World Championships silver medalist Sylvia Kibet (14:31) London 6th placer Viola Kibiwott (14:34), World Champs 5th placer Mercy Cherono (14:35), Gelete Burka (14:31), World Jr. champ Buze Diriba and Americans Shannon Rowbury, Lisa Uhl, Kim Conley, and Neely Spence. Asafa Powell Pulls Up Injured Again During 100m At JAAA All-Comers Meet In Kingston (Includes Video) He pulled up about 50m into the race, hurting the same hamstring that gave him problems in Australia. Brit Junior Jessica Judd Runs 2:00.71 To Win Loughborough 800 Olympic 1,500 finalist Lisa Dobriskey won the 3k in 9:03, Perri Shakes-Drayton the 400 in 50.98, Rhys Williams ran top 2013 European 400H time in 48.90 for the win. Fast 10ks In Japan: 2011 World XC Silver Medalist Paul Tanui Runs World-Leading 27:21 At Kyushu Region Champs At the East Japan Corporate Champs, London 10,000 5th-placer Bedan Karoki ran the 2nd-fastest time in 2013 in 27:30. Kenyan Enock Omwamba Wins 1,500-10,000 Double At Kanto Regional University Championships In Japan He ran 3:39 and 28:15. Brad Walker Gets PV World Lead (5.83m) At Low-Key Setting In Phoenix Includes video. 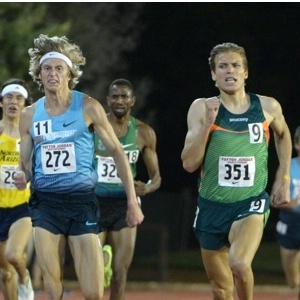 Weekend HS Coverage: Wesley Frazier Wins 3 North Carolina State Titles In 3,200 (10:00), 1,600 (4:49) And 800 (2:14) At Utah state champs, Ben Saarel won the 1,600m in a state record 4:07 (beating Luke Puskedra's record) and the 800 in a state record 1:51.13. 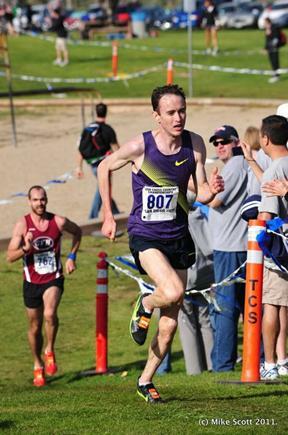 Jason Hartman-coached Elise Cranny won Colorado state titles in the 3,200/1,600/800. Former Throws WR Holder Mac Wilkins Has Been Developing A Post-Collegiate Throws Group In Oregon His athlete Liz Podominick hit the "A" in the discus. Discus Olympic Champ Robert Harting Opens His Season With 68.31m WL In Germany He also set the record for most days undefeated with 1,003 days. WomenTalkSports Profile On Olympic Trials Steeplechase 4th Placer Ashley Higginson Higginson is part of the New Jersey-New York Track Club under Coach Gagliano. Kenyan Opinion Piece: "How Athletics Kenya Missed The Lane To Self Redemption" A lot of harsh criticism of AK and accusations of rigged elections and intense infighting. Paralympic Gold Medalist Alan Oliveira Says He Was Motivated By Oscar Pistorius' Complaints Over The Length Of His Blades "I have to thank God that I don't have legs, otherwise I would be on a farm in the countryside, working in the north of Brazil just like another guy." *Kenya Prisons Athletics Championships: Africa Bronze Medallist Timothy Kiptoo Wins 5K In MR 13:34.0 Olympic 5,000 bronze medalist Thomas Longosiwa was 5th (3:45.1) in a close 1,500 as unknown Kibet Barng'etuny won in 3:44.0. 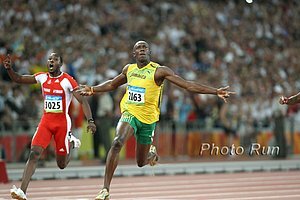 Shocker: LRC Usain Bolt Nearly Beaten - Opens 2013 Season With A Less-Than-Impressive 10.09 Bolt was way behind 85 meters into this race and only won in a photo after his training partner seemingly slowed on purpose at the finish line. Oscar Pistorius Says He Won't Compete This Year As He Awaits Trial His agent says he received a number of invitations to meets, but is not yet mentally ready to start training and racing again. Good Read: UK Sprinter Dwain Chambers Training At Altitude In Chamonix, France Where He Will Climb The 4,800m Mont Blanc At The End Of The Season For Charity He'll race against Christophe Lemaitre over 150m at Manchester City Games on Saturday. RR: T&F News Article On Bryshon Nellum's Long Road From Gunshot Victim In 2008 To Olympian (And 4 X 4 Silver Medalist) In 2012 Interesting to note that he made the Olympics last year after not even making the NCAA final. Good Read: Arkansas' Chris Bucknam Talks About The Pressure Of Taking Over For Coaching Legend John McDonnell And His 40 Titles And The Relief He Felt When They Won Indoors This Year Talking about taking initially taking the job, he said, "It's one of the moments I thought, 'This is either the smartest move I'm ever going to make or the dumbest move I'm ever going to make.'" DeeDee Trotter Had NCAA Championship And Olympic Rings Stolen From Her House In A Burglary Earlier This Month Picture of rings here. LRC Win Upgraded VIP Tickets To The adidas Grand Prix (aka The Best Value In NYC Pro Sports) As part of their advertising package, the adidas Grand Prix gave us 2 Diamond Level VIP Tickets to the meet. And we're giving them to you. You're welcome. Instead of enjoying VIP perks, we'll be slaving away for you for free. 16-Year-Old Track Runner Who Spent 5 Months In The Hospital Recovering From Leukemia Is Going To NYC adidas GP As Part Of The Make-A-Wish Foundation He'll also get to meet his favorite athlete, Tyson Gay. 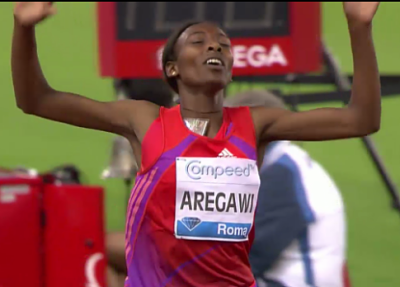 Doha Destroyers Abeba Aregawi And Hagos Gebrhiwet Added To Fields At NYC adidas GP Gebrhiwet will line up in the 5,000 while Aregawi will take on 2008 Olympic 1,500 champion Nancy Langat in the 1,500. Previously announced in the 800, David Rudisha will take on Nick Willis, Erik Sowinski, Robby Andrews, former Olympic silver medalist Mbulaeni Mulaudzi and Brit Andrew Osagi. 9 More Olympic/World Champions Added To Fields Sanya Richards-Ross vs. Amantle Montsho and Christine Ohuruogu in the 400, Christian Taylor vs. UK's Phillips Idowu in the TJ, Reese Hoffa vs. Ryan Whiting in the SP and Tianna Madison vs. Kelly-Ann Baptiste in the 100. Veronica Campbell-Brown Leads "Parade Of Caribbean Stars" For adidas GP She'll be in the 200 Olympic bronze medalist (ranked #1 in 2012) Javier Culson will lead the 400H. Warren Weir, Nickel Ashmeade, almost-Bolt-slayer Kemar Bailey Cole will also compete. Deena Kastor Will Lead US Team For World Marathon Champs USA 25k champ Dot McMahan and Twin Cities champ Jeannette Faber will join her in Moscow.